Sea, Sand & Sky: A starfish! At McDonough?! At the McDonough Sailing Center this week we actually had a starfish in our touch tank- which I find quite exciting because we never caught any here before! 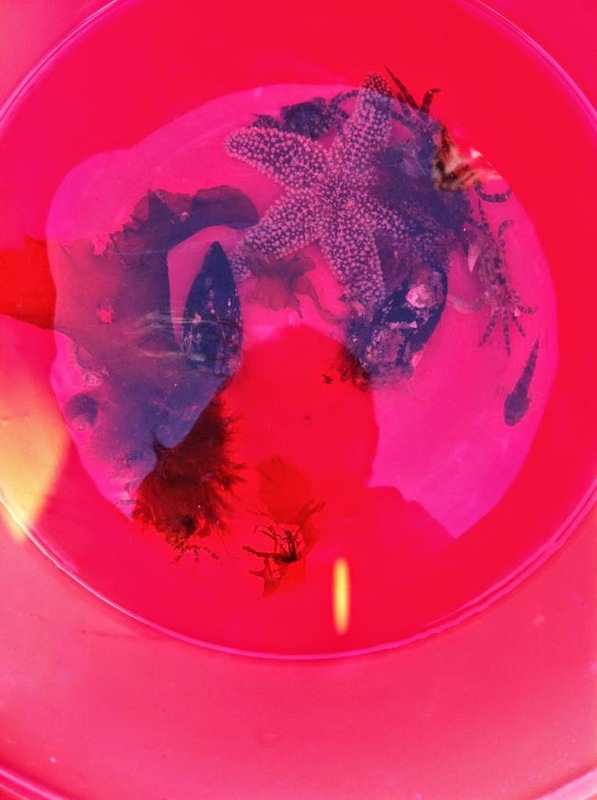 One of the staff members from McDonough took some of the kids out to search for some starfish, and came back with one starfish, a few hermit crabs and many Asian shore crabs! Making our mini touch tank complete, we made it more lively by adding a few pieces of seaweed, muscles with a few tiny shrimp, and a small sculpin fish! All of the kids were intrigued because for the first time our touch tank had something other than green crabs. 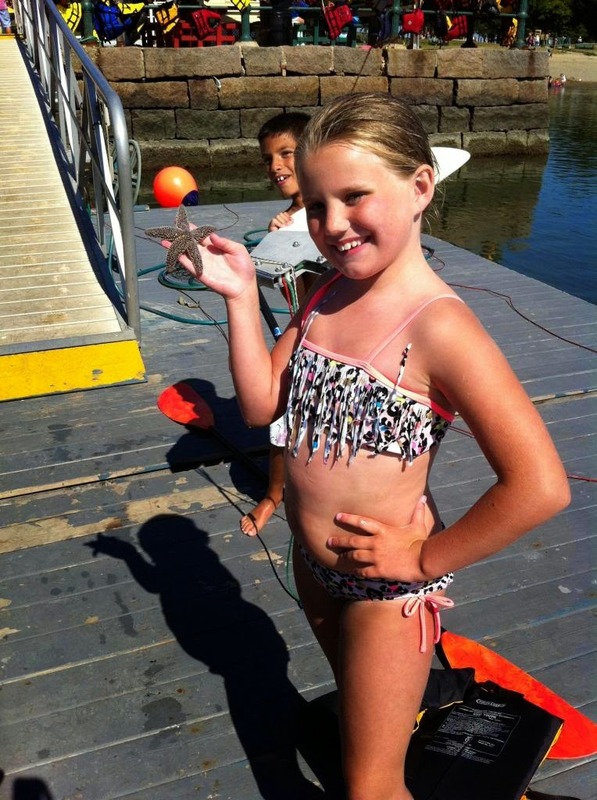 Fishing and crabbing seems to never get old for the kids here at McDonough. They get equally excited everyday when my team and I arrive to the site. They run towards us and start asking "whats for bait for today?" and grab the rods and start fishing right away! They sure make my job much easier and fun, and for that I feel pretty lucky.